The Buchanan East at 4398 Buchanan Street was the first of three Buchanan towers built by Appia Developments in the Brentwood area. This modern building, inside and out, features floor to ceiling windows, maple cabinetry and granite countertops in the kitchens, private park only for residents, underground secured parking and, most of all, convenience. Built on top of the Winners/Save-On-Foods shopping centre, you can hop downstairs to Save-On-Foods, which is open from 6am until midnight daily. SkyTrain, Brentwood Town Centre, daycare, and many other shops and services are within close walking distance. 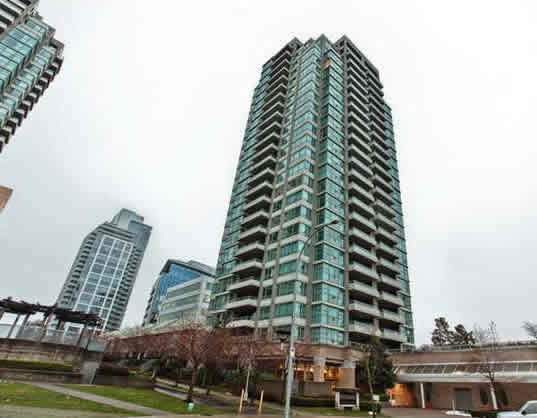 Views from the suites include the North shore mountains, downtown Vancouver, the Metrotown area, Mt. Baker and Burnaby Mountain. The Buchanan East is a 26 storey complex with 131 condo units and 8 townhomes.